The HSR is the one being pushed for Harleys now. With those numbers two wouldn't be enough? Tuning would be easier. I've read that a 123-456 split is more natural than a 12-34-56 split, but I haven't figure that out as the firing order seems to make sense to me grouped either way. The mikuni HSR, common on Harleys, seems to be a common SU replacement these days. Wouldn't a pair of these work on a small six? Language issue yes... For some reason I was under the impression that a higher numerical ratio rear end was referred to as taller. But yes, something around 3.5:1 as opposed to my current (2.73:1?). Topic: Trouble shooting help please!? Re: Trouble shooting help please!? Tore down and cleaned my sitting on the shelf collecting dust carb. Reassembled with some parts stolen from the other. Comet is once again running, yay! Tore it down farther for a more thorough cleaning. Broke off the main jet. It turned close to a full turn then snapped. Sleep on this one, maybe the morning will bring a good solution. The "step up rod" cover seems to be raised up from the carb body. As if it isn't seated properly. Would that be something to investigate? Topic: Remanufactured engines? Short blocks? Don't remember how many rows but it was bigger than the I6 unit, bolted right in. The bottom hose is on the wrong size. I use a pair of hoses and a 45* exhaust bend to deal with that. I saw that. This is the last year right? I guess 54 years is a pretty good run for an engine. Has any other block lasted longer? I guess the VW perhaps? Is there anyone importing entire new-ish engines out of Oz? I know I'd probably never be able to afford it but I'd love a 24 valve turbo fuel injected engine in the Comet. It's a 250, stock out of a '72 maverick. I do want to go dual. If 2" isn't so big as to cause performance problems that would be easier. Increase muffler options and such. Topic: Late drums on early axle? Re: Late drums on early axle? Someone, and I'm looking around the room accusatorially, beat me to the carb and linkages. It was definitely not stock from the looks of the hammer marks in the valve cover. 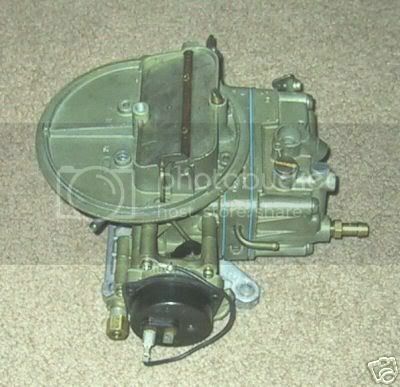 I did get the car adaptor, distributor and harness, and the starter. It looked like it was on an adaptor. If direct mount I'd grab the head! It doesn't look at all like an engine with any go fast changes. It still has the cat down pipe exhaust and all. Late drums on early axle? Does anyone make a spacer/sleeve that would let later style drums properly register on an early axle?